Speculative execution is a feature to speed up performance of recent processors which works by predicting and loading likely future instructions ahead of time. The features became somewhat famous a few months ago with Meltdown and Spectre vulnerabilities exploiting the features. The exploits impact Intel, AMD, Arm, and other processors to various degrees, and since the feature is built-in into the hardware, there’s no easy fix, and instead operating systems vendors, cloud service providers, hosting services and other stakeholders implemented mitigations. While a lot of progress has been made, work is still going on with the just released Linux 4.18 still getting some code changes related to the exploits. Foreshadow attack designed to extract data from SGX enclaves. Ironically SGX is a new feature in modern Intel CPUs which allows computers to protect users’ data even if the entire system falls under the attacker’s control. It was though to be immune from speculative attacks until recently. 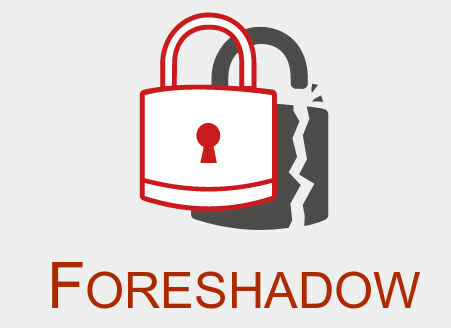 Foreshadow Next-Generation attack which affects Virtual Machines (VMs), hypervisors (VMM), operating system (OS) kernel memory, and System Management Mode (SMM) memory. The name L1 Terminal Fault comes from the fact of the attacker being able to access data stored in L1 cache. I’m sure other companies will post the way it affects – if at all – their products. I’ve not seen any info from Arm or AMD so far, and it looks like they may not be impacted (TBC). Intel has a video explaining how it all work. L1TF, aka L1 Terminal Fault, is yet another speculative hardware engineering trainwreck. It’s a hardware vulnerability which allows unprivileged speculative access to data which is available in the Level 1 Data Cache when the page table entry controlling the virtual address, which is used for the access, has the Present bit cleared or other reserved bits set. * Host side protection by inverting the upper address bits of a non present page table entry so the entry points to uncacheable memory. * Hypervisor protection by flushing L1 Data Cache on VMENTER. * Extensive documentation about L1TF including various degrees of mitigations. The important part is that should check whether updates are available. It seems particularly critical for people using virtualization and cloud based services.